Phonotherm ® 200, a board-shaped, polyurethane-based construction material that is convincing in its extraordinary properties and enables innovative and customized construction projects. HPL, CPL, plastics, and films. Liquid coatings are also possible. Phonotherm® 200 provides low thermal conductivity, high pressure resistance, and breathability: properties that create new perspectives. Friction-locked and secure installation of outdoor lighting, roller shutter boxes, canopies, etc. 100% water resistant: an outstanding property that creates diverse opportunities for application. 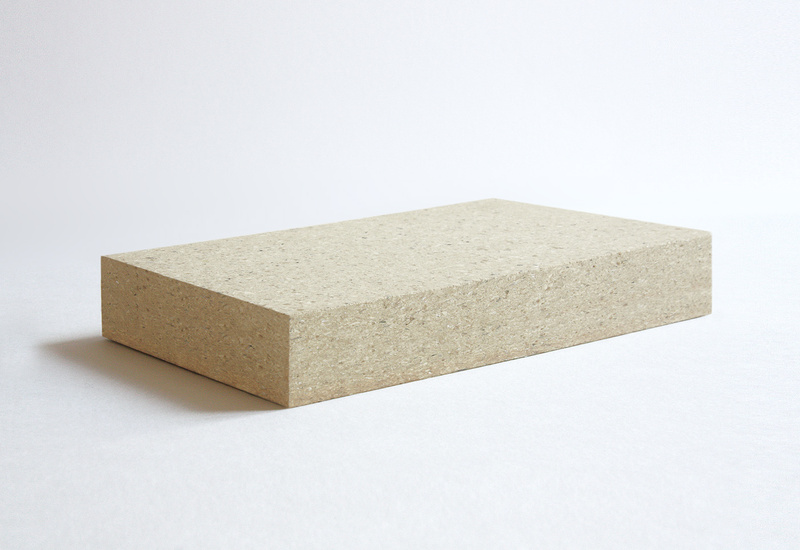 Phonotherm®200 can be processed similar to MDF and particle boards. The material can be easily worked with hard metal tools: sawing, milling, sanding, drilling, and grooving are common processes. The working material can be screwed even on the front side and can be glued with one another. Even the most detailed milling patterns can be done without risk of breakage. The speckled boards consist of polyurethane. Productive use of residual and waste material is also emphasised with Phonotherm®200: residual materials can be 100% recycled. Phonotherm®200 is formaldehyde-free. Dusts produced during processing (sawing, sanding, and milling) are physiologically harmless and non-fibrous. Residual materials from the production of polyurethane rigid foam (on-roof insulation panels) are used to make Phonotherm®200. The production waste is briquetted at the manufacturing plant and brought to the site of Phonotherm®200 production. There, the briquettes are ground to a flour, sieved, and mixed with isocyanate. At a forming station, this mix is then poured into a raw form measuring approx. 1400 x 7500 mm. The raw form then enters a multi-layer hot press, and is pressed into board thickness with pressure and heat. After a pressing time that depends on the desired thickness of the board, the board leaves the press to be immediately formatted, cut, and stacked. You can find our products made with Phonotherm ® 200 here !